Here at Master Pools of Austin, we bring our technical skill and creative flair to each and every project. Whether you’re gracing a backyard with a fun family pool, or seeking high-end luxury for a hotel or waterpark – we deliver personalized swimming pools to reflect your needs and desires. We serve a wide area across Texas, including the city of Dripping Springs. 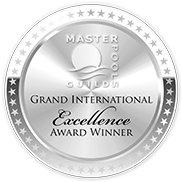 As proud members of the elite Master Pool Guild, our craftsmanship and customer service has been recognized as being of superior quality, and it’s these high standards that we bring to every aspect of your swimming pool installation and design. At the cutting-edge of pool design, we deliver a wide range of products and services, including indoor or outdoor swimming pools, above ground swimming pools, bespoke pools and water features, and additional landscaping. First, we work alongside the customer to draft a design you are 100% satisfied with, before installing the finalized design to industry standards. Get in touch with our friendly advisers today to discuss your upcoming project – we welcome all design ideas, no matter how ambitious.